The Aleph Wondergirls are the epitome of their name. They are the tiny ones in the Shuls Girls Youth department but are the ones are who are unanimously voted as wonderful. 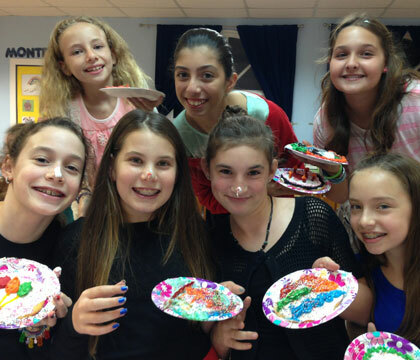 Every Tuesday from 5:30-6:30 The Aleph Wondergirls celebrate Judaism and who they are as Jewish girls through games, crafts, imaginative play and activities. With the guidance of their teacher the girls are encouraged to discover and create. The class environment is friendly and welcoming. It is an environment that is created to be a place of empowerment. The classroom and activities are arranged so the children can accomplish themselves with hands on dynamic approach. Kita Aleph is a group within the Aleph Wondergirls. In response to the achievement and acceleration of entering 1'st grade- Kita Aleph, the girls are given a special opportunity to meet roughly every 6 weeks for a session of "Dinner And Learn" that is only for the very "elite" group of 1'st grade. The year concludes with a special trip and rewards as they continue to the next level in the Youth Department. The PreTween Girls are the girls who are the "Pre's" in between. Girls 2nd and 3rd grade meet weekly on Thursday's 5:30-6:30 for activities that ignite the spark of Yiddishkeit. Nothing is left unturned as we use our surroundings as a basis for our programs. It is not uncommon for one to see the girls going up and down Harding on Mivtzoyim or see the girls experience the strife of Egypt while walking on the beach in the rain. One word to use would be ACTION. Action is the PreTween's claim to fame as they experience the beauty of who they are and strive to do chessed and express their pride in Yiddishkeit. Yearly Trips are arranged for girls who attend regularly. Past trips include going to sea as Pirates and going to a farm to milk a Goat. The JR. Girls are at the forefronts of becoming Young Ladies. In 4th and 5th grade the girls begin to take on responsibility for their programs and the implementation of them. The girls meet every other week on Tuesday's 6:30-7:30 and enjoy crafts, outings and dinners. In order to enhance "Tikun Olam" and "Achdus" the girls read monthly from the book Shalom Secrets where they learn the secrets of making and keeping peace. Activities are done to reinforce all that is learned. The girls very actively share in programs, competitions, Chassidic Yomim Tovim celebrations, craft hours, outreach and shabbaton lunches. A JR. girl remarked while delivering flowers to the elderly for Shabbos "in this program you never know what will happen. Nothing is impossible!" The JR. Girls enjoy yearly trips and Shabbatons. 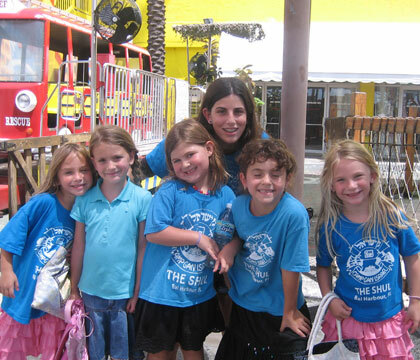 Trips to the Chocolate Factory and Miami Sea Aquarium have been trips enjoyed in the past. 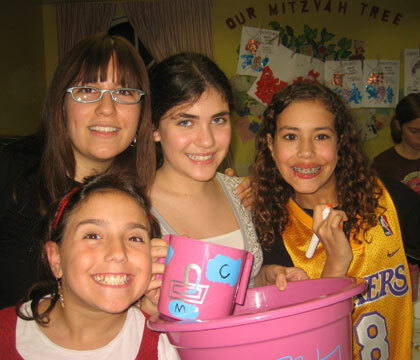 Mothers and Daughters join together to enjoy mitzvahs, crafts and quality time together. Stilt walkers, pottery painting, scavenger hunts, shopping for the needy and more have allowed mom's and daughters to unite in an environment that is set up to encourage and allow bonding at its ultimate. The events are arranged so that the entire program runs without the organizers intervention so that Mom and daughter completely bond one on one. These events are roughly every 2 months and have drawn at some programs as many as 70 mothers and daughters. At one such event on Motzei Shabbos at the beach a daughter remarked to her mother "isn't this the best night of your life mommy?"